Rosebank is set in its own large garden situated by the main road north to Braemar and Glenshee but with a five minute riverside walk to the centre of Blairgowrie. This magnificent ruin is on a cliff top overlooking the North Sea, near Stonehaven, south of Aberdeen. The weather doesn't matter since Dunottar is photogenic in rain or sunshine. Distance from the property is: 56 miles. 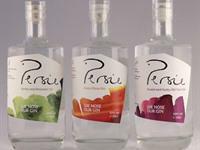 Simon and Chrissie run Persie gin distillery, a family run business. They currently produce 3 types of gin and all are available to taste. Distance from the property is: 10 miles. There are excellent tours available of Glamis, (pronounced Glahms), which is the former childhood home of the Queens's mother. 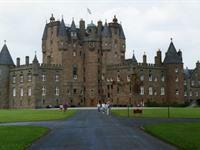 The gardens are also worth seeing and Glamis is just 20 minutes drive from Rosebank. Distance from the property is: 15 miles. Her Majesty The Queen's Scottish home is just over an hour's drive north from Rosebank through Glenshee. 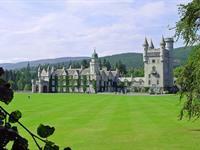 Balmoral is not open late August/early September when The Queen takes her Scottish holiday and attends the Braemar Gathering. Distance from the property is: 42 miles. 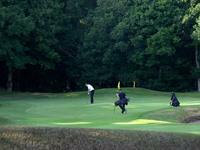 With two championship eighteen hole courses and a nine hole course, Blairgowrie attracts golfers from across Britain and further afield. Distance from the property is: 2 miles. Guided tours with Bob Smith, (as seen on TV), to see the local wild beavers or up a nearby Munro, (mountain over 3000 ft) or to Bob's hide where he regularly sees red squirrels and pine martens. Bob lives almost next door to Rosebank. Distance from the property is: 0 miles. 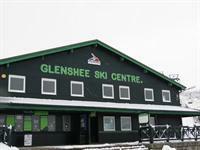 Glenshee Ski Centre offers the UK's most extensive skiing and snowboarding facilities. Glenshee's impressive 22 lifts and 36 runs offer an amazing diversity of natural terrain for all standards of skiers and snowboarders. Distance from the property is: 24 miles.